If your home value has declined and you don’t want to pay your mortgage anymore, try to sell your home in a short sale. Q: I am single and live in a home in Clayton County, Georgia. I’ve owned the home for 16 years and owe $115,000 on two mortgages. The neighborhood has really gone downhill and housing prices in my area are around $45,000. Owning a home may be the American dream, but not for me. I have not kept the house up for some time and it is falling apart around me. I just can’t get right with spending any money when I will never get any return. I am 57 years old and have not suffered any job loss or any cut in income but I am on a budget. I realize that whatever I do will challenge my credit and possibly my character. I never thought I would be willing to rent a home but have changed my thinking on that for a while now. This house has robbed me of my happiness and I know the stress has caused me health issues. I want out! What advice do you have for me? A: We’re sorry that your housing situation is causing you such stress. It seems that the home values in your neighborhood have stayed low after the Great Recession and may not come up anytime soon, particularly if there are a lot of foreclosures and short sales in the immediate vicinity, and you and your neighbors have stopped caring for your homes. 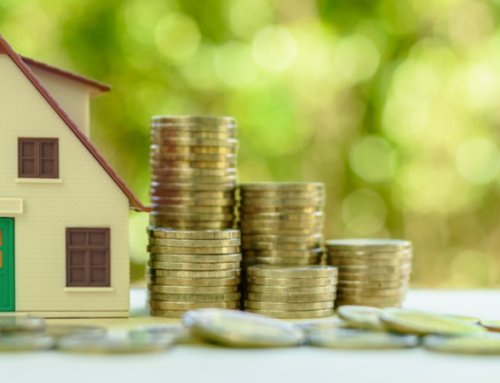 Homes do require maintenance and upkeep, and if you haven’t spent that cash caring for the home, you should have quite a bit of money saved up. At least, we hope you saved that money. Certainly, if a homeowner with a stable job is unwilling to care for his or her home, other people in the community facing job losses, health issues and economic problems won’t be able to care for their homes either. Unfortunately, neighborhoods like yours suffer true economic loss in recessions, and it appears your neighborhood has gone into a downward spiral as a result. Your question poses a couple of problems. One of them is that you appear able to afford your home but you don’t want to pay on a mortgage anymore, because the house is so far underwater. The other issue is you’re facing the fact that the home value has declined, mirroring the declined condition of your neighborhood. You believe both of these issues are making you sick. That’s quite troubling. We don’t know if moving and giving up on your home will relieve your stress, but if you sell the home, you will have to sell it as a short sale. In a short sale, the proceeds from the sale are insufficient to pay off the lender and other closing expenses and costs. You’ll need both lenders to consent to the short sale and depending on your circumstances and the lender’s willingness, you might come out from the sale with a dinged credit score and history but the lenders may write off the loss. Otherwise, you can sell, but the lenders may require you to pay off the amount still owed on the mortgage. For example, if you sell the home for $50,000 and the lenders get $45,000 after closing expenses, you will still owe the lenders about $70,000. Some people have just abandoned their homes, but this approach is probably the worst way to go. If you want to move on with your life, you should try to sell your home and work with your lenders in the short sale. If they forgive the balance owed (the deficiency), your credit will be damaged but you won’t have the debt. If they refuse to forgive the debt, you can work out a payment plan with them. If they won’t work with you and you can’t afford the debt, then you could consider a deed-in-lieu of foreclosure, actual foreclosure, or (if your finances fall within the prescribed limit) bankruptcy. A real estate attorney might be able to help explain these concepts. You can also find help at MakingHomeAffordable.gov. I was in the Army at Fort Hood, TX and bought a house, with a VA loan, that I thought was going to live in for a while. I have a wife and 2 little boys. The day I closed on that house, I was notified by the Army that they were going to medically retire me; this meant I would have no paycheck in six months or less. My wife and I decided that we would move to her grandmother’s house in Central Florida and then just rent out that house in Texas. My wife is going to inherit the house in Florida when her grandmother passes, but we are not on the title yet, nor do we plan to be anytime soon. I am now a full time student, using the post 9/11 GI Bill. With only the disability that I am receiving from the VA, it has been difficult to pay all of our expenses including the mortgage on that house in Texas; this is without paying any other type of mortgage or rent here in Florida. We have a property management company that is taken care of that house in Texas, but it has not rented now for a few months. Also, there were some less than favorable to tenants in there who were evicted, so I am waiting for them to pay for a few things such as carpet expenses and cleaning fees, etc., fees of which have been tacked onto my account for me to pay, which isn’t very fair, but it is what it is. I need to come up with approximately $1,000 just for the property management company now. (The property manager did not communicate these expenses with me, even though I have written proof stating they would). In short, I just want to get rid of that house and be done with it. I am too stressed out from having a brand new baby, dealing with health issues, that include mental issues, as well as a full time school schedule. Also, I feel that things may get ugly with the property manager as well. I have filed for bankruptcy in the past, but I’ve been rebuilding my credit, as well as my wife’s over the past few years, and we almost have great credit. It would be disheartening to destroy that, but again I just want out of that house. …sorry for the grammatical errors– I was trying to use the speech to text feature on my phone.